Perlite is used for cultivation substrate , pure or mixed. But it is interesting to know where it comes to understanding its features and benefits. Perlite is a natural volcanic rock. Basically it resembles sand containing water. It is industrially expanded by a heat treatment from 900 to 1200 ° C. Under the influence of heat, the perlite expands from 4 to 20 times its volume and shape of small porous grains with tiny cavities. One can visually resemble perlite in white bedding grains, it is very light and crumbly. 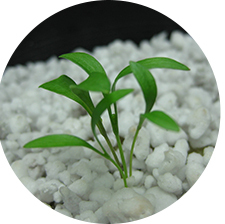 Perlite is a substrate very light and easy to handle which makes its implementation in a culture system simple and fast. However, we recommend you wear a masque protection When handling to avoid dust inhalation, and previously moisten to reduce dust generation. 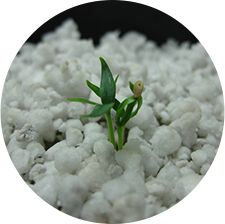 You can use perlite as a substrate in a hydroponics system drip essentially. You can also associate perlite to another substrate such as soil , coir, peat , but in this case, perlite does not exceed 30% of the entire mixed substrate. 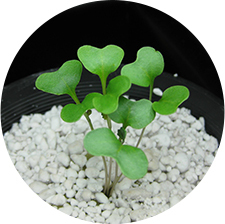 During phase seedlings / cuttings perlite can be mixed with the vermiculite quantity 50 / 50. However, it is also possible to mix 60% Coco, 30% clay beads and 10% perlite. What are the advantages of perlite? - neutral pH between 6.8 and 7.2 which allows for better control over the fertilizer and the nutrient solution given your plants. - Thanks to its porosity, it has a great capacity water retention, up to 5 times its weight. - 100% eco , perlite is a natural product < / strong>. - perlite is easily removed, put in the ground in your garden, for example, it will turn into dust and disappear over time without leaving traces.